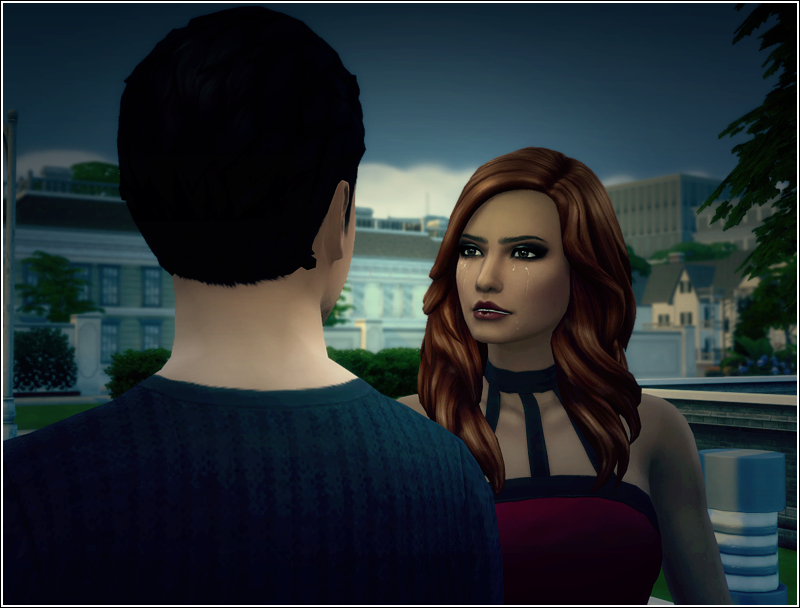 ​When I left the Nightshade residence I thought nothing worse could happen tonight. I felt terrible and hollow. I hurt the only person that genuinely cared about me for years. I was crying the whole taxi ride home. Why couldn't I reciprocate another person's affection? I haven't had feelings for anyone since Chris. What was wrong with me? 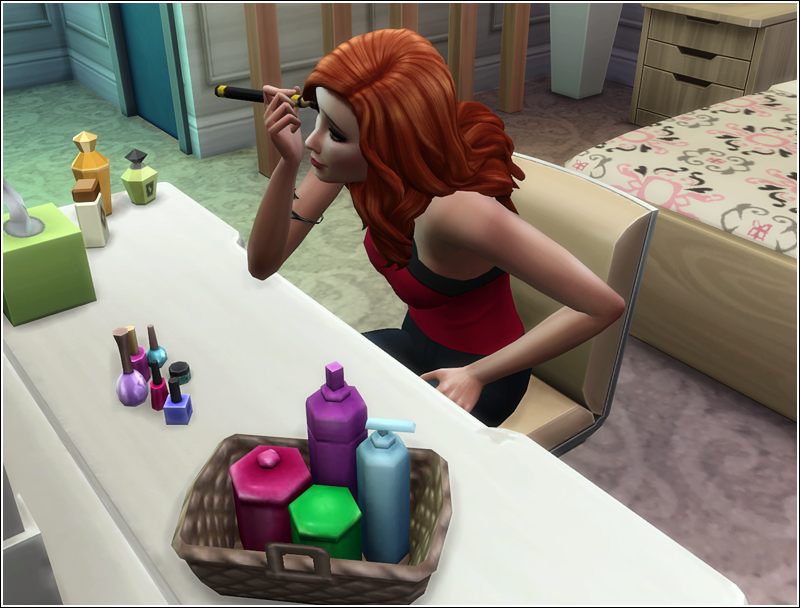 I was getting ready for a sleepover at Thomas' place as we had agreed on couple of days ago. I might have overdone my makeup a little, because I was still seething. Putting all those layers and colors on felt like building a wall I could hide behind before I would confront Thomas about the bodyguard he'd set upon me and failed to mention. And confront him I would, despite my innate dislike of conflicts. I haven't been able to reach Thomas via cellphone since yesterday. What was he doing that he couldn't answer the blasted phone? Normally he would answer within seconds. ​Once again I wished mom was here. I missed her so much. 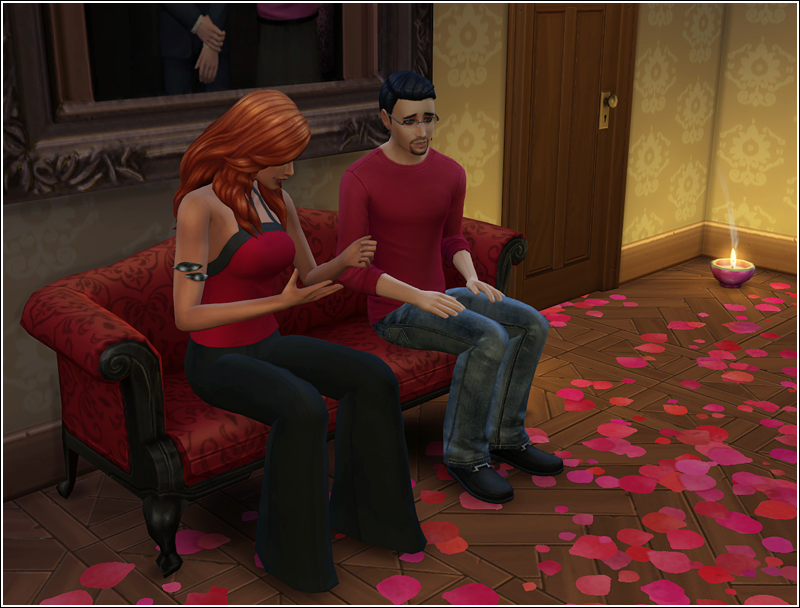 I had been trying to keep our family together, but it's been so hard. Celeste had been doing poorly at school and she barely talked to anyone. Not to me or Chris and she didn't have any friends. I was helping her with homework every day when I came home for work, but she'd been having trouble to concentrate. I was going to seek out a professional counsel one of these days, but there had always been something else that needed to be taken care of first and I didn't want to bother uncle and aunt again and again. Celeste was my and Chris' responsibility. Not that he strained himself to help, but I knew he had enough on his plate as well. Everything had seemed to go well for him at work, he used to enthuse about his daily tasks until the day he came home very angry. He wouldn't tell me what happened and it continued to gnaw at him. Atop of that he still suffered from bad dreams. It had gotten worse since the thing at work. ​There was a knock on the door. Chris entered my room. That was something he did very rarely. "Hey, sis. Are you going yet? I'm sure Thomas can't wait to see you." At the mention of Thomas my blood started boiling again. Plus it was painfully obvious Chris was trying to get rid of me tonight. Probably to invite one or more of his "girl friends" despite what he promised me. "And since when do you care about Thomas?" I snapped. "Or about what I'm doing these days for that matter?" "Of course I care, sis. I came here to offer to call a taxi for you. See, I'm a good and loving brother." He smiled at me and winked. It might have worked on his girls, but not on me. Not anymore. And especially not tonight. "I already called a taxi. Don't you think for a minute I don't know what you're doing, Chris!" My phone rang. The taxi arrived. "Well, you can rejoice at last, brother, 'cause I'm going now. Happy?" "Don't be so grumpy, sis. Tell Thomas I said hi. And have fun, you need it!" ​I just grumbled something and walked out the door. 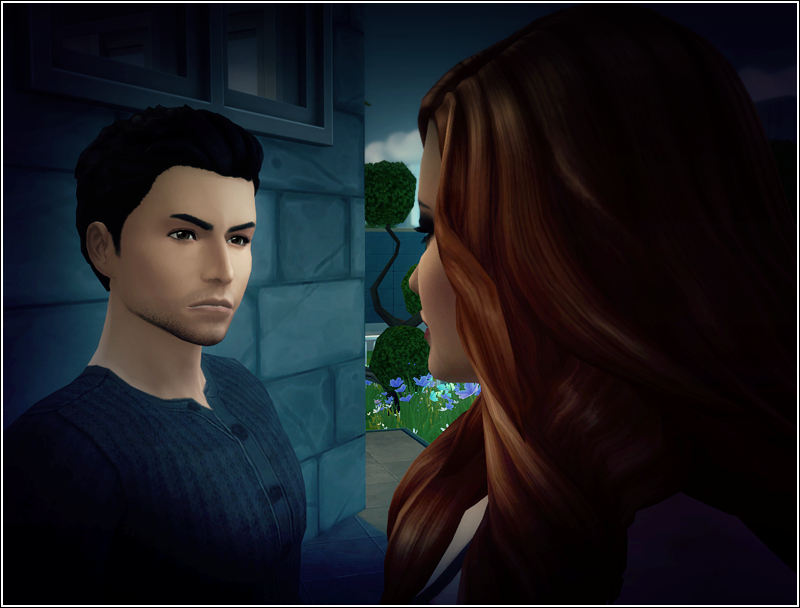 I loved the house in Willow Creek Thomas lived in. It had a character. There was something about old houses that inspired awe in me. Maybe it's the fact that they survived centuries, their walls protected many generations of people, witnessed their arrival to this world as well as their demise, whispered of their secrets. 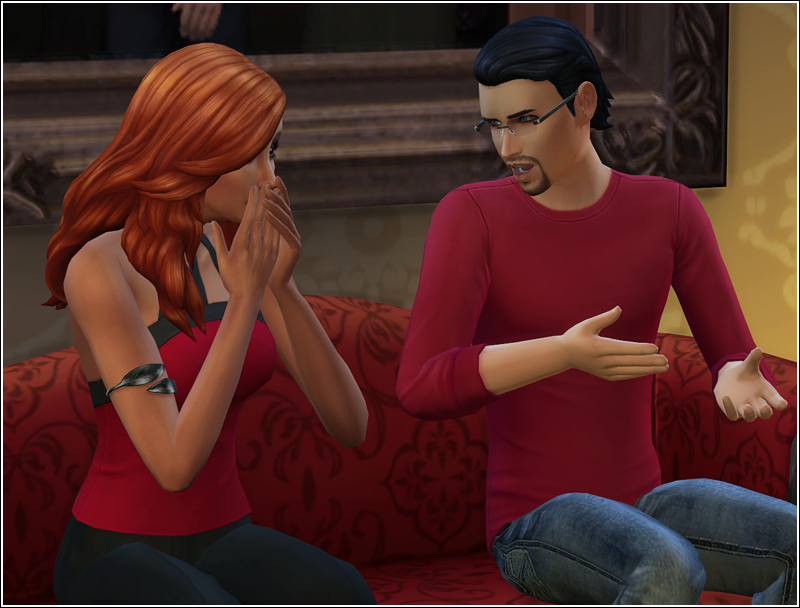 Each time I entered the Nightshade residence I felt like I was contributing to the house history with my presence. I missed this feeling in my home. However, tonight my thoughts were filled with other things than with awe of old houses. 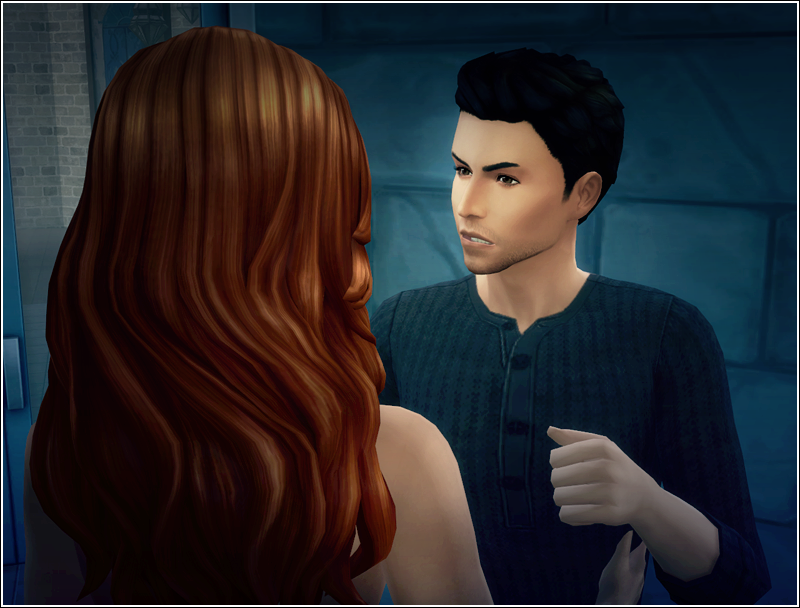 Before the taxi dropped me in Willow Creek I finally received a text from Thomas saying he's expecting me and has a surprise for me. Well, that made two of us. ​The butler let me in and I immediately headed upstairs. The upper floor was used exclusively by Thomas. His father lived downstairs. 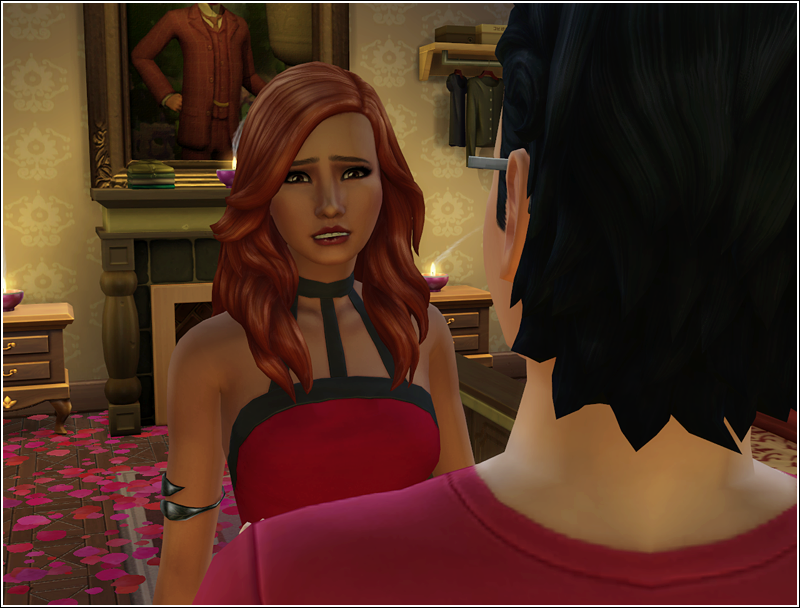 Raven moved our shortly after her eighteenth birthday and now had her own house in Oasis Spring. When I climbed the stairs I gasped. 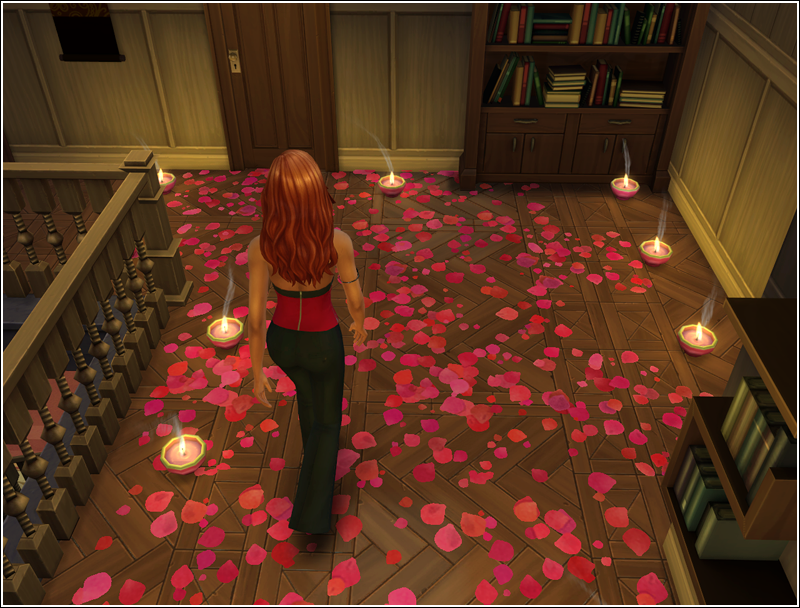 The floor all the way to Thomas' bedroom was covered with rose petals and lit by scented candles. So this was the surprise he was texting me about. I knew what it meant. He hoped to finally convince me to take another step in our relationship tonight. If I was honest with myself I had to admit I knew I couldn't avoid the moment forever. Any other day I would have probably lost all my courage, turned around and run, because I still didn't feel ready to do it. But tonight I had my anger to hold on to. 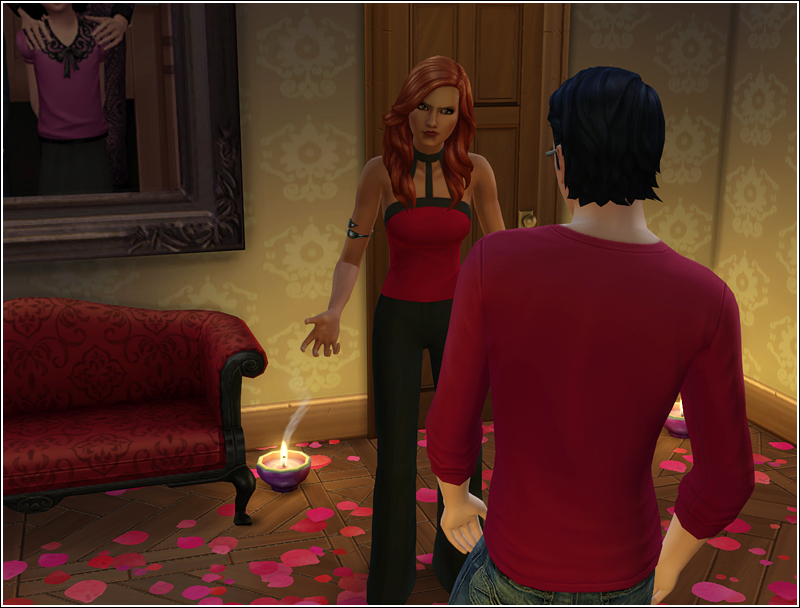 I let it fuel my determination as I walked toward Thomas' room crushing the rose petals under my feet along the way. The air was heavy with both scents - roses and candles - mixing. If I spend any more minute here I'm going to pass out, I thought. This was typical of Thomas, he loved grand gestures and unfortunately he always overdid it and went one step further than was nice. Maybe he was hoping I would pass out from all the sweetness and that he would then carry me into his bed and do with me as he pleased. Yes, that would be like him. Then I would wake up to see him grinning at me and asking innocently, "Did you like it, Kitten?" 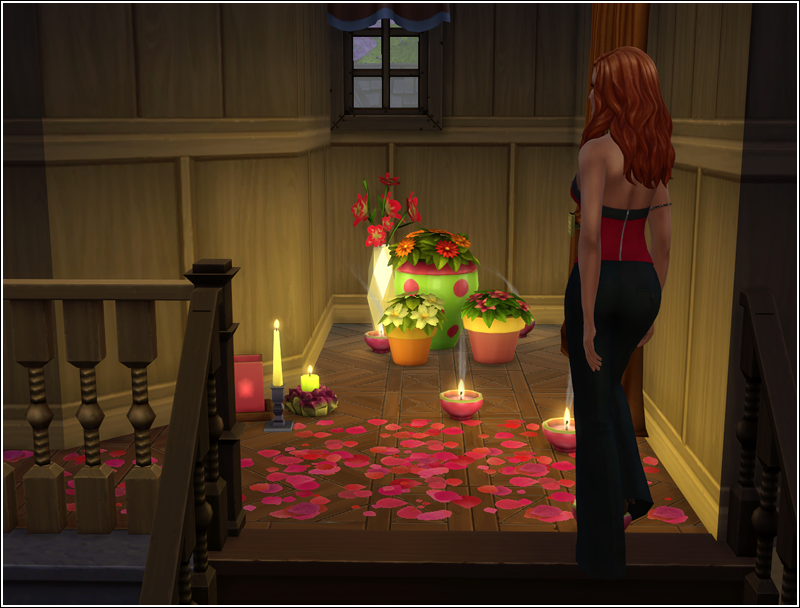 I entered his room and I realized there was no escape from candles and roses. I started feeling a bit overpowered. I sneezed. "Hey, Kitten. Do you wanna play?" Thomas greeted me in seductive voice. His teasing only fed my anger more. I had to get it out of my system at last. "When were you going to tell me, Thomas?" I heard him take a sharp breath. He must have inhaled a lungful of the lovely sweetness he so generously filled this whole floor with. He cleared his throat. "Tell you what, love?" ​"Don't play dumb with me, Thomas. You know very well what I'm talking about." His face went pale and his shoulders drooped. The flirty grin disappeared. ​ "I wasn't going to tell you. I... I was sort of hoping that you'd never find out..." he trailed off. I shook my head. "Do you have any idea how scared I was?" His eyebrows shot up. "You were... scared?" "Of course I was! What woman wouldn't be if a stranger followed her on her way home almost every night? And considering what happened to Chris and mom..."
He slapped his forehead. "Oh... I'm such an idiot. 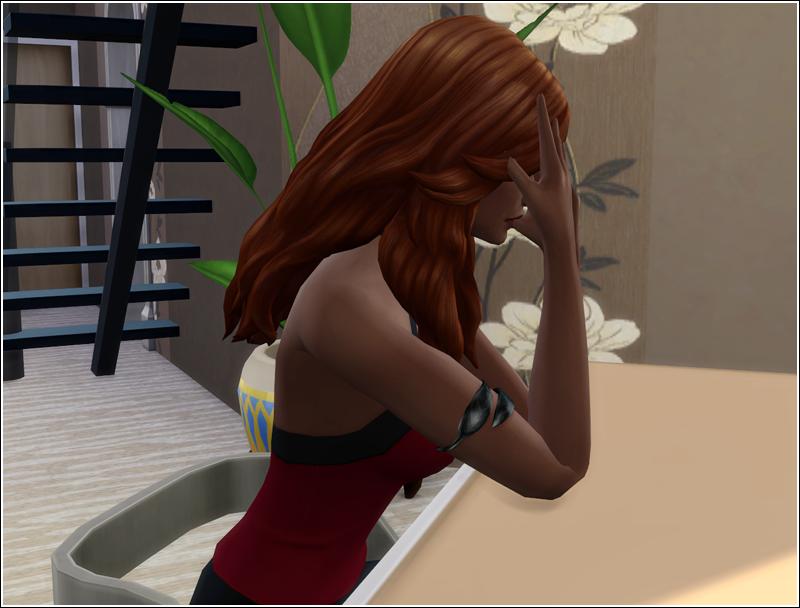 I'm really sorry that Samuel gave you a scare, Kellie. I asked him to watch over you and protect you when I couldn't walk you home myself, in case the Gabriel guy bothered you. I meant well." "Why didn't you tell me then?" "I was quite busy at work, I must have forgotten." He prevaricated. ​"How convenient for you. I'm sure having this Samuel of yours report to you on my every move and every person I talk to was just an accidental bonus, wasn't it? You will call him off, Thomas." I demanded. ​"Now you're being unfair to me, Kitten," he said, but he didn't sound one bit offended. My assumption wasn't completely wrong. "Are you sure you want me to call him off? Now you know about him anyway, so..."
​Working in his father's company changed Thomas. He had developed an unpleasant habit of making decisions without discussing them with me. He'd always been the one of us two who came up with most ideas for what to do at weekends and then we would tune up the details together. As the time went it's been happening more and more often that I was presented with a fait accompli. The tickets to a concert or a play were booked, rooms at a spa resort paid for, meal ordered... He always presented it as a surprise, a token of his affection. I was more and more subtly steered in a direction that he picked for us. I knew where we were heading - first night, first vacation, the proposal - and my feeling of being trapped grew stronger. I could only blame myself for feeling this way, because I deliberately drifted with the current. It's been hard to say no to my dearest friend for he's always been so charming and I was hoping that in time I would love him the way he loved me, but deep down I knew I was fooling myself. This all was too exhausting. I sighed and sat down. Thomas joined me. "Are you still mad?" he asked. I wasn't. Being angry for too long cost energy. "Yes." I said. "I'm really sorry, okay? I was worried about your safety. Anyway, how did you even find out he works for me? You talked to him?" "I would never dare to approach him. But I told Grayson and he suggested I went to the police. And since detective Mitchel is..."
"Whatever. Who is he?" Here we went again. I heard the suspicion that crept into Thomas' voice. "He's a friend from work." "You've never spoken of him before​." I closed my eyes and counted to ten before answering. "He's moved to Necrest just recently. And he's a gay, Thomas. A gay." "But the cop isn't and I saw the way he was looking at you in the park. The man was practically drooling." ​"That is not truth, Thomas. He's a friend of our family. I told you he's been nothing but polite and kind to me and Chris since our mom died. He's not like that." Thomas looked unconvinced. "For being a scientist and all that, Kellie, you sometimes really surprise me with your naivity. Also I have to wonder why did you go to everyone else first and not me, your boyfriend?" ​It took a lot of effort not to respond to him calling me naive. "And what would you do if I told you and the man wasn't your father's employee? Fly at his throat and had me watch him beat the crap out of you just like I had to when you attacked Gabriel?" ​He sneered. 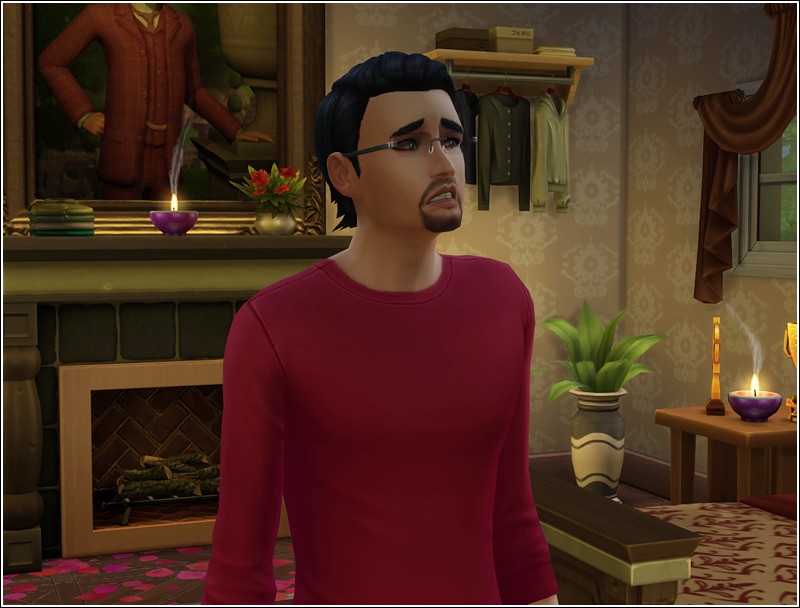 "Don't worry, Gabriel got a taste of his own medicine. I made sure that Samuel taught him not to mess with a Nightshade ever again." I stared at him with my mouth open. All of a sudden things started making sense. Gabriel's absence at work, the accidents that started happening to me after his return. This was a whole new side of Thomas I had never seen before. "You didn't." I gasped. I jumped to my feet. So did Thomas. My boyfriend just admitted to have had my coworked beat up so bad that he wasn't able to come to work for weeks. This new Thomas scared me. "I can't do this anymore," I blurted out. Instead of apologizing for what he'd done and asking for forgiveness as he should Thomas said, "Neither can I. This isn't working. Us. I'm so tired of this. Tired of trying to make you love me." "I'm afraid it's not enough for me, Kellie." He pulled me in his arms and kissed me violently, then he let go of me. "See? Every time I kiss you or touch you, you turn into a statue. Stiff and cold. I need a woman who desires me and you're not it. There's nothing worse for a man than feeling unwanted by a woman. You would build a wall around yourself if you could to prevent me from touching you." "You hate it when I'm being jealous," he continued. "I hate myself too when I'm being like that. I was so scared to lose you, it drove me crazy. But then again, you can't lose something that never truly belonged to you, can you?" I felt tears streaming down my face. "I wanted it to work so bad. I really did. I didn't mean to hurt you." He cupped my face and dried the tears with his thumbs. "Sometimes it's better to hurt someone a little sooner not to hurt them much more later. We have to end it." ​Despite everything that had happened and what I learned he'd done, I didn't want to lose him. He was my best friend. My only friend for a very long time. "Are we... Can we still be friends, Thomas?" I read the answer from his face before he even said a word. "I think it will be for the best if we don't see each other for a while, Kellie." I only noded because I couldn't speak anymore for I was fighting back another flood of tears. I turned around and headed for the door. ​"Goodbye, Kellie. Please, take a good care of yourself. I envy the person you'll make happy one day." I only barely remember leaving the old house. I thought nothing worse could happen tonight, but I the police car in front of our house proved me wrong. The terrible moment of déjà vu was overwhelming. 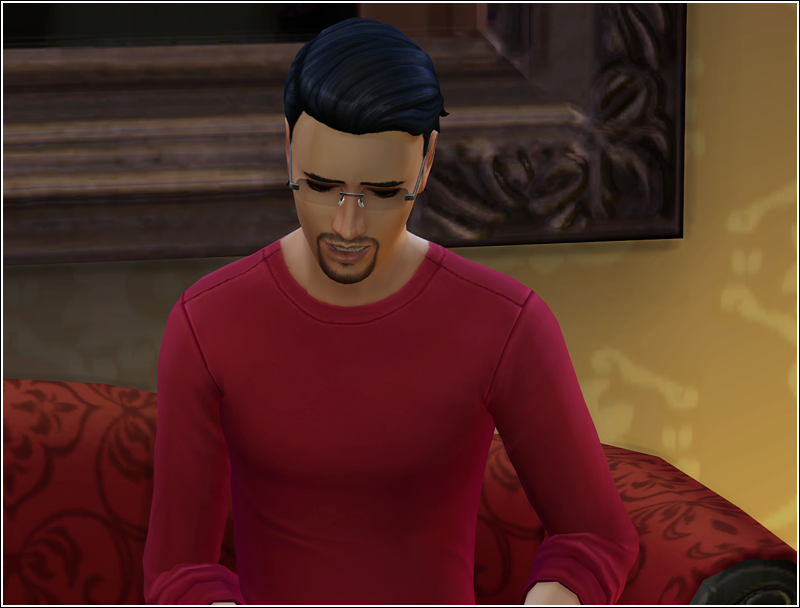 It felt like back then when detective Mitchel brought Chris home and delivered the news about out mom's death. My stomach was in knots. The door opened and the police officers led someone in cuffs out. I couldn't see his face. Did a burglar sneak into our house when Chris was home? But why was there so many policemen? They brought the man closer and I finally caught a glimpse of his face. I gasped. Tony? What was he doing here? I hadn't seen him since the rainy day Chris refused to see him. Why was he here now? Was he trying to get in touch with his son again and the police found out somehow? No... I realized it wasn't what had happened here tonight. I looked at Chris again to confirm my suspicion and I knew. He was so eager to get me out of the house. He had planned this. I felt tears streaming down my face. What have you done, Chris? For Watcher's sake what have you done? It never occured to me that he would actually turn his father in, even if he was member of the force now. I didn't think him capable of such thing, despite the hatred he occasionally expressed toward Tony. For some reason an image sprang into my mind at the sight of Tony in cuffs and surrounded by the cops. A proud and beautiful bird of prey that has been violently knocked down from the sky, caught and trapped by huntsmen. This should have never happened. Somehow I knew we will both suffer because of this, Chris and I. They made Tony get in the car. He sat there on the back seat looking straight ahead, motionless like a statue. How could Chris do this to him? And why now? I had to know. I had to talk to my brother. Now. I weaved my way through the officers. They shouted at me and tried to stop me. "I live here!" 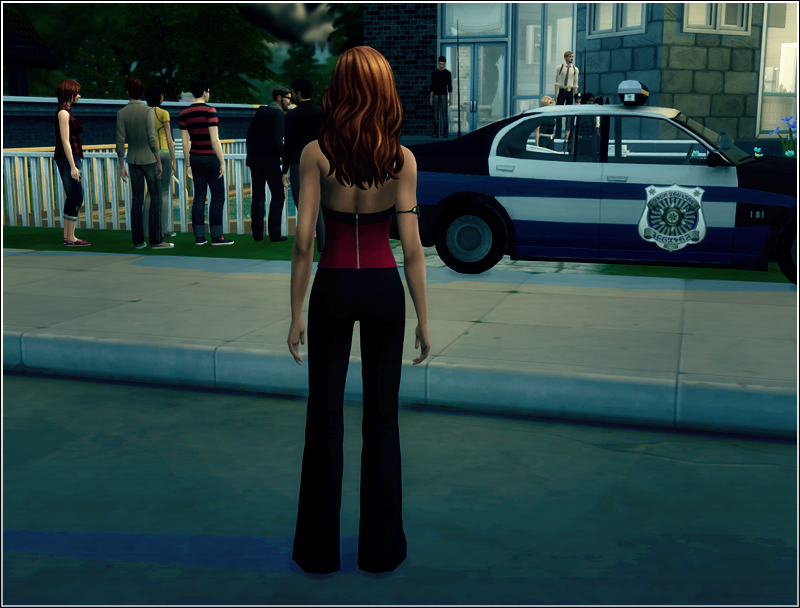 I shouted back at them and I was successfully dodging their attempts to catch me by the arms until I ran into detective Mitchel knocking the wind out of him. Through the veil of my own tears his face looked blurred. I felt his hands on my forearms. He was saying something to me. But I wasn't in a mood to chat with him. I needed to speak with Chris. I wrenched myself free from his grip. ​At last I reached my brother who didn't look very happy to see me. "What are you doing here, sis? Weren't you supposed to stay at Thomas' place and come home tomorrow?" "What am I doing here? Maybe you should explain to me what is it you are doing? Did you chase me out of the house tonight so you could lure your father here and turn him in, Chris? How could you?" "Are you asking me how could I turn in a criminal? As it happens I'm a cop, Kellie. It is my job." This didn't sound like my brother at all. Was he really this cold or was it just an act? I couldn't tell. My emotions were in whirlwind tonight. Everything was falling apart. ​"This is not just some criminal we are talking about. He's your father!" "Are you even listening to yourself, Kellie? Should we make exceptions when cops' relatives are involved in crimes now?" "That's not what I was saying!" "That's exactly what you were saying." "It's one thing catching him when he's comitting a crime, luring him out to our house under a false pretese that you want to patch things up with him is really low. That was how you did it, Chris, wasn't it? Because he couldn't say no to you, because he loves you too much." ​"You met him only once and you think you know him? I bet he showed you his nice side. You were a girl after all. My dad the charmer. Our mother would tell you all about his charm if she was still alive. You haven't seen the police files. You have no idea what he's capable of." "I remember that you used to love him, Chris. Wasn't it enough for you to just ignore him like you have all these years? Did you have to do this? Why now? What changed?" "As long as he was at large I could never move on with my life, Kellie. Nobody trusted me, because I'm his son. I would have never made a detective." "You call me heartless and you defend him? Wake up, sis! he's a hitman. Do I need to spell it out for you what it means? He kills people for money! Money means more to him than peoples' lives! He is heartless. I did what had to be done." "Still if he was my dad I would never betray him the way you did! He's all you have now, he loves you. I have no one. No parent. You don't even realize how lucky you are." ​"Lucky?! He's the reason why our mother is dead! If it wasn't for him, you'd still have a parent, Kellie." I couldn't stand the fight with Chris anymore. I went inside. Chris followed me and kept on trying to convince me that he had done a good thing. I barely listened to him. Eventually I snapped at him to leave me alone and go celebrate his glorious victory over his father. That gave him a pause. Then I heard him leave and slam the door. Have we both been damaged beyond repair? Unable to love anyone?